The Il-78 with NATO codename "Midas" is a tanker aircraft, made on the basics of the Il-76 and developed by the Russian company Ilyushin. It was developed to enlarge the range of Soviet aircraft. Only a few aircraft are still in Russian service. 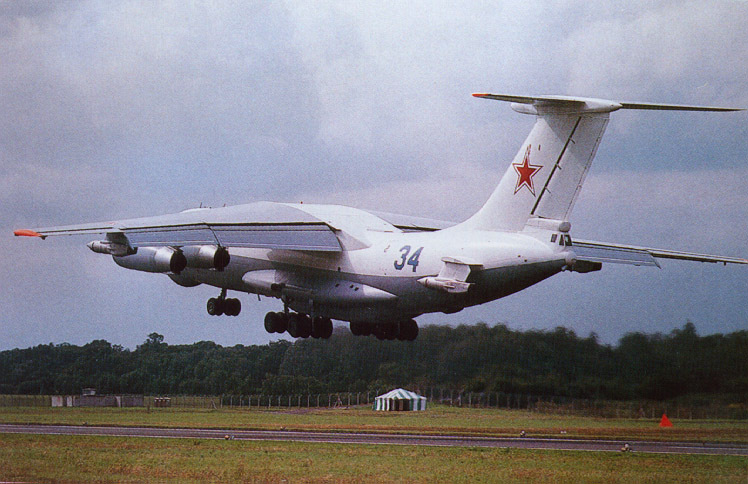 The Il-78 has 3 probe and drogue type points to refuel other aircraft. Three IL-78's aircraft are in service with the Indian air force since 2002.